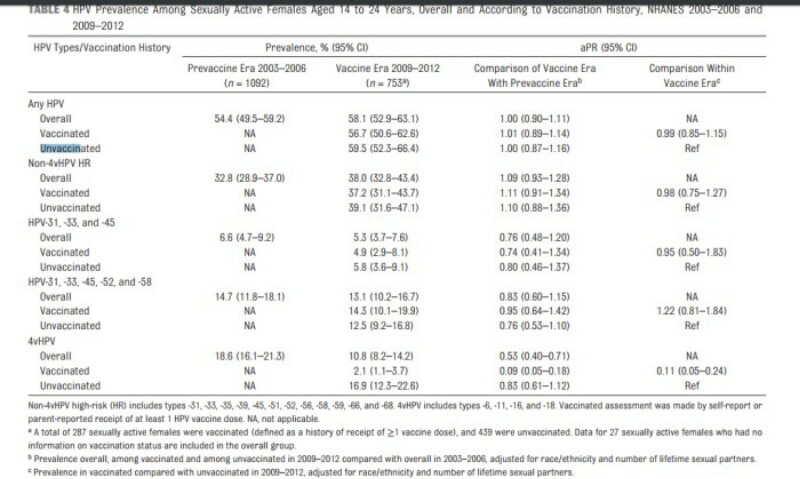 …studies now from the US, Germany, Italy and the Netherlands all support the same conclusions: there is evidence for grave concern over the adequacy of HPV vaccines: while the vaccine-targeted types are cleared, the hundred or so that can replace them across the sexually active population includes pathogenic types that may be more lethal than those targeted by the vaccines. The statistics on the types that are said to be known to cause the most cancers are potentially misleading, because there is an inverse relationship between the ability of the pathogen to cause disease (morbidity) and death (mortality). If you count numbers of cases, yes, HPV-16 appears to be high-risk. But the low-frequency types may be even HIGHER risk – which would explain why they are low-frequency. Dr. James Lyons-Weiler, PhD is the author of several books, including “Ebola: An Evolving Story”, “Cures vs. Profits: Successes in Translational Research”, and “The Environmental and Genetic Causes of Autism”. He is the CEO and Director of IPAK, The Institute for Pure and Applied Knowledge, a not-for-profit pure public charity research institute focused on the reduction of human pain and suffering. You can support IPAK and its various projects, studies and initiatives at ipaknowledge.org. You can read more of Dr. Lyons-Weiler’s analyses at jameslyonsweiler.com and find his peer-reviewed publications at Pubmed.